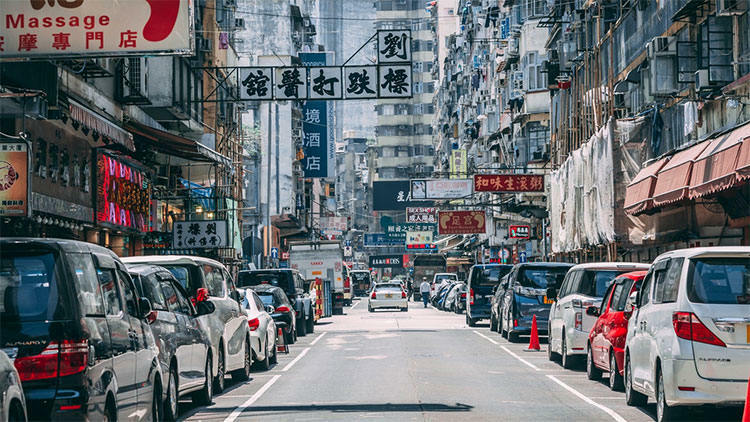 Hong Kong is the world’s most expensive urban center for those looking to buy a home, according to a survey of 35 global cities by real estate consultant CBRE. Hong Kong’s average property price is $1.2 million, ahead of second-placed Singapore ($874,372) and third-placed Shanghai ($872,555). 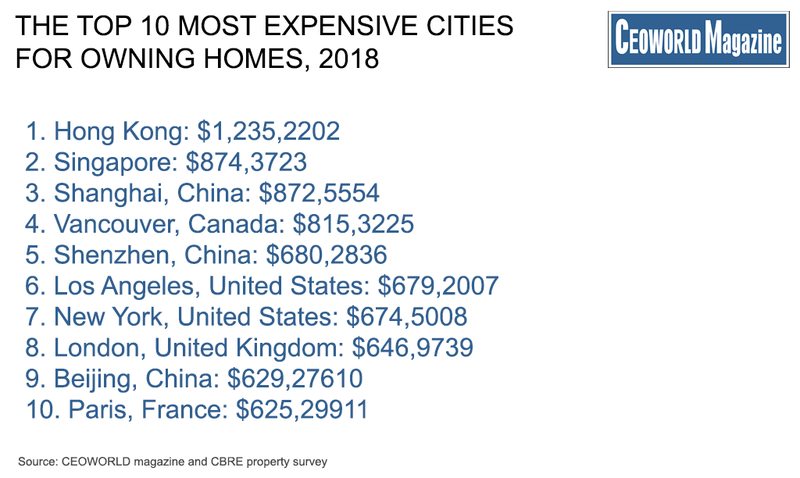 The Chinese cities of Shenzhen (average property price: $680,283) and Beijing (average property price: $629,276) were also named among the world’s top ten costliest cities for home buyers, ranked in 5th and 9th place respectively.